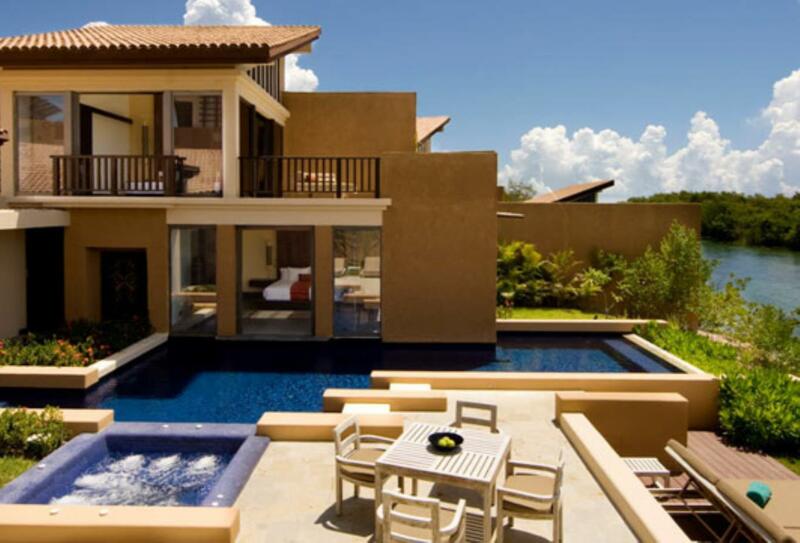 The villas at Banyan Tree Mayakoba are each a sanctuary in their own right and feature vast indoor and outdoor areas, private swimming pools and landscaped gardens. 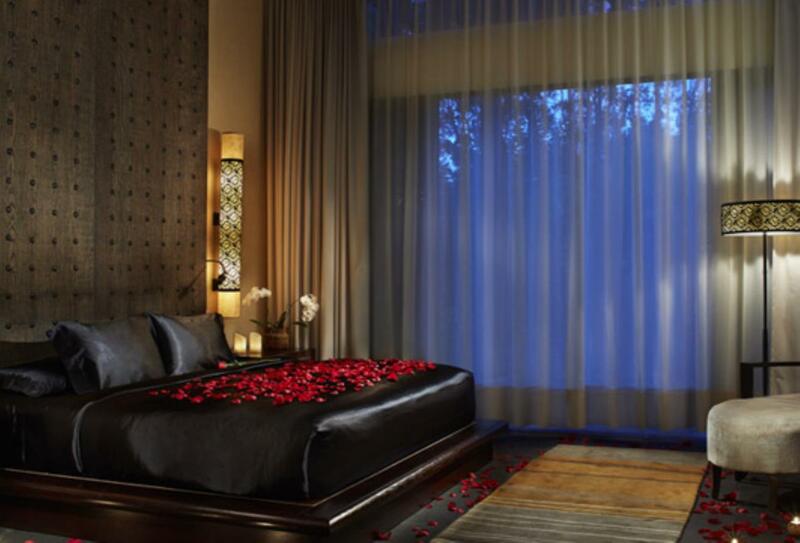 Situated by the beach, blue waters, it is surrounded by flora and fauna as well as a world class golf course. There is also an award-winning spa, gymnasium, plus a well-stocked library and of course, a sugar-sand beach and lagoon. 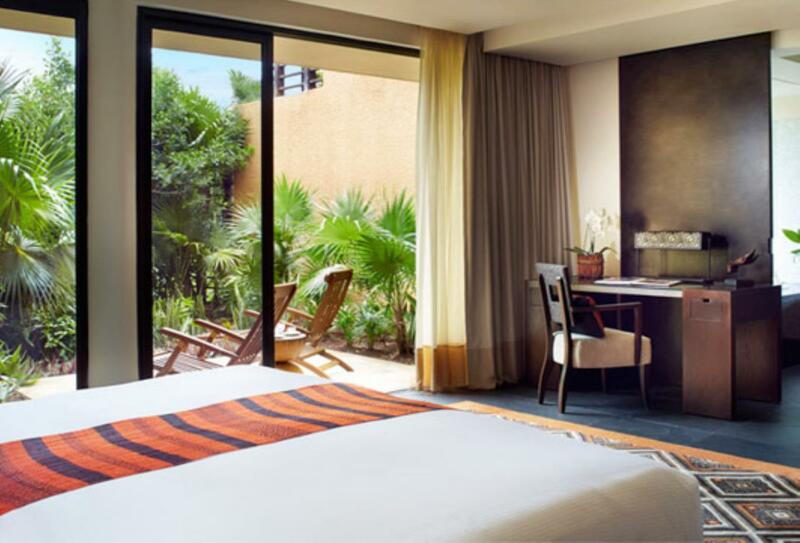 A variety of world class dining along with relaxed poolside and sociable bars are also on offer as well as in-villa dining arrangements – the choice is always yours. This villa is set on the exclusive beachfront, guests’ of this villa not only enjoy the space and luxury of a huge three bedroom property, fitted with pool and garden, but also benefit from the services of a personal in-villa host. 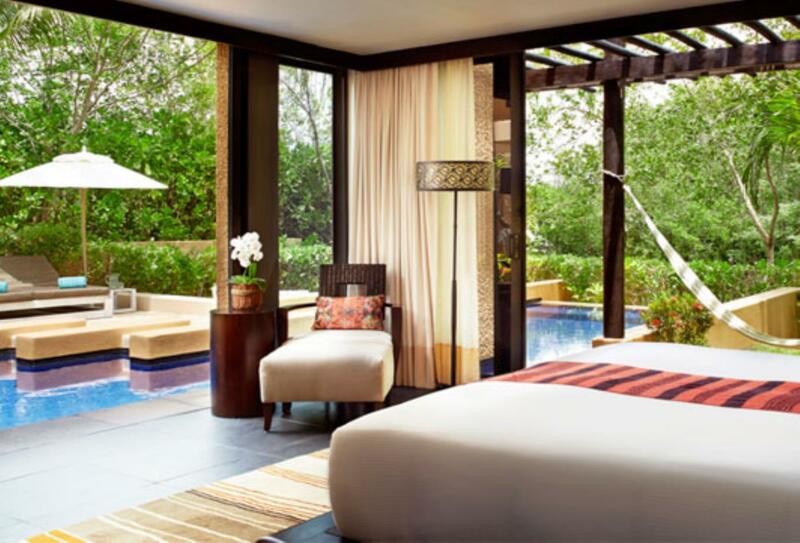 This pool villa features a sundeck, terrace, garden and pavilion, as well as an outdoor bathtub. 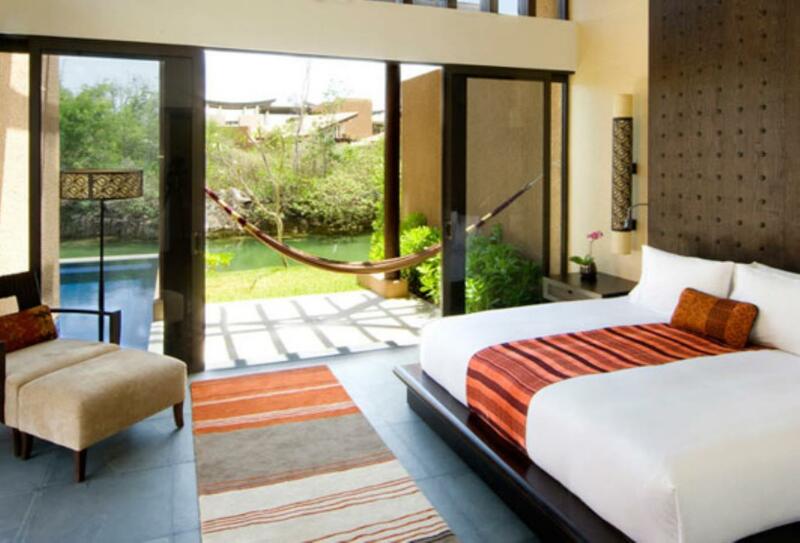 Shaded by the jungle vegetation, this tvilla features two bedrooms and a huge amount of indoor and outdoor space. 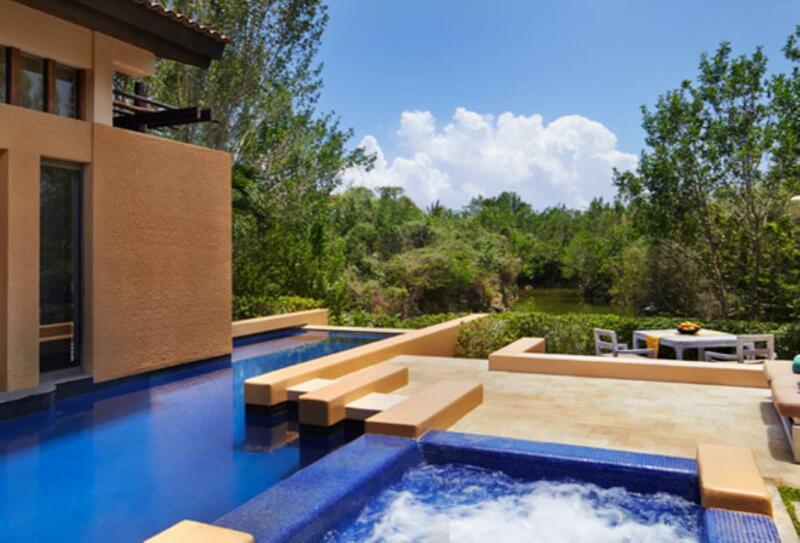 Ideal for a couples’ retreat, the Sanctuary Spa Pool Villa has a large outdoor area fitted with swimming pool, terrace, hammock and dining area. 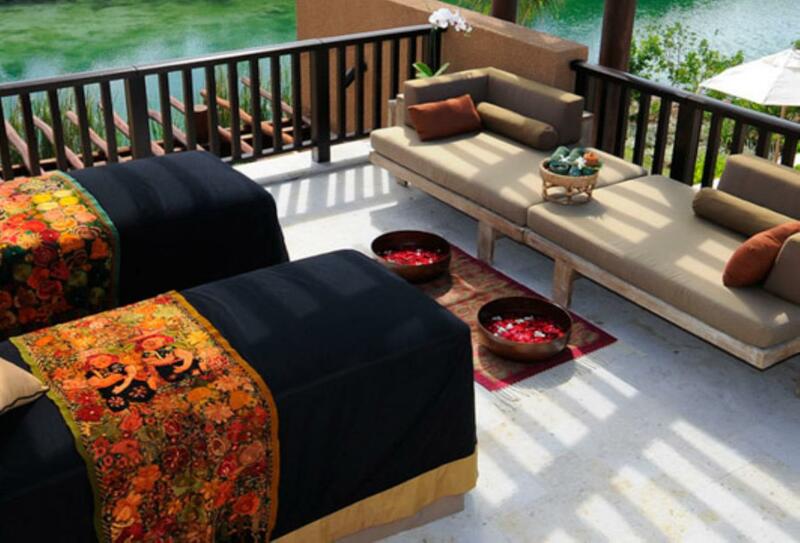 What sets this villa apart however is the spa experience space, with beds so guests may enjoy unlimited massages from the on-hand therapists, from a menu of 10 treatments. 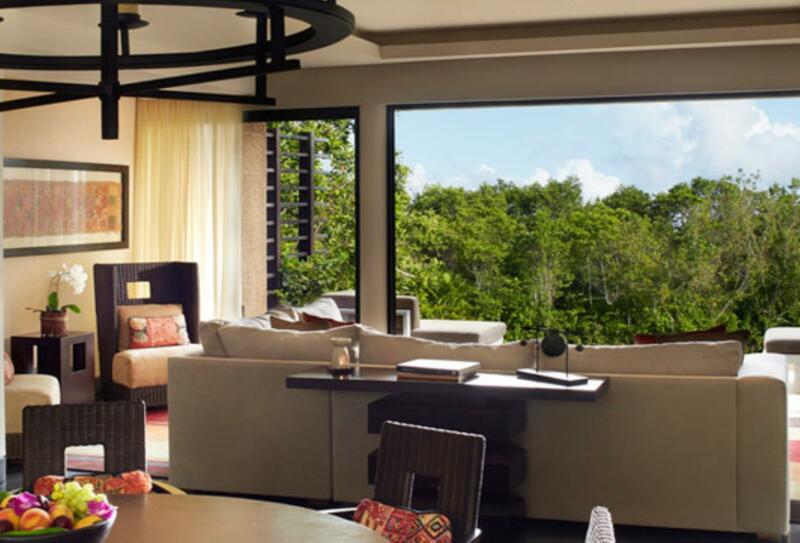 Unwind in the sanctuary of your private pool villa, overlooking the Maya jungle landscape and comprised of Maya-inspired interior. 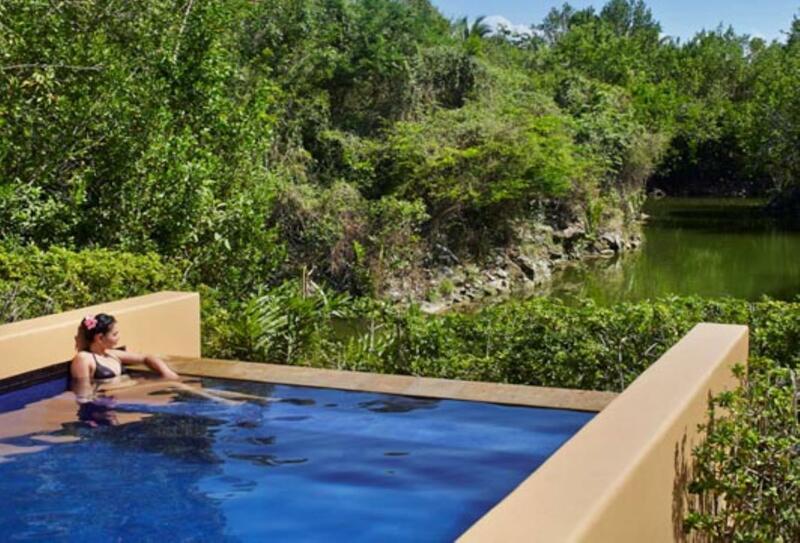 A garden is equipped with heated pool and outdoor Jacuzzi. 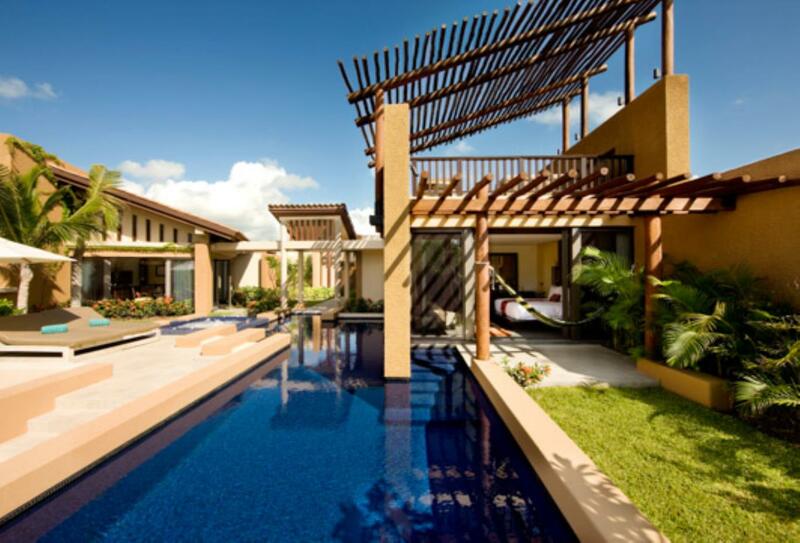 This villa has landscaped garden fitted with heated pool, and spacious pavilions. 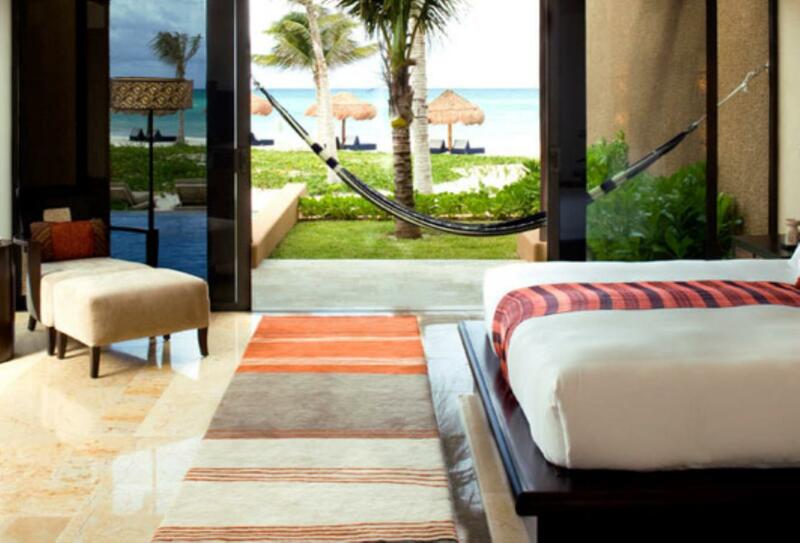 Each bedroom has its own separate entrance. 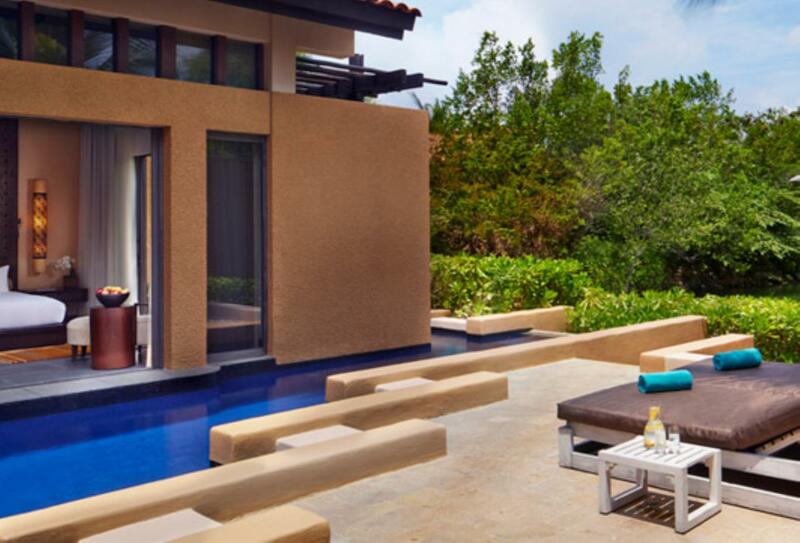 Enhance your relaxation at the Spa pool villa; split over two levels, this space features a large interior as well as an outdoor spa area with massage beds, showers, dining space and serene views. Ideal for families, this huge residence is secluded by the surrounded gardens and features a sun-drenched roof deck with heated pool for views of the waterways and jungle landscape. 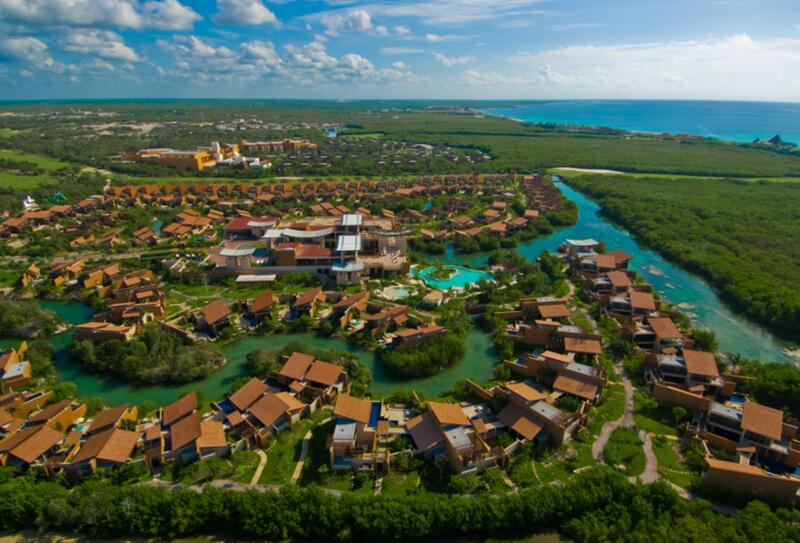 A spectacular 18-hole course designed by renowned architect and legend Greg Normal, El Camaleon is home to the only PGA tour event in Latin American and the OHL Classic in Mayakoba. 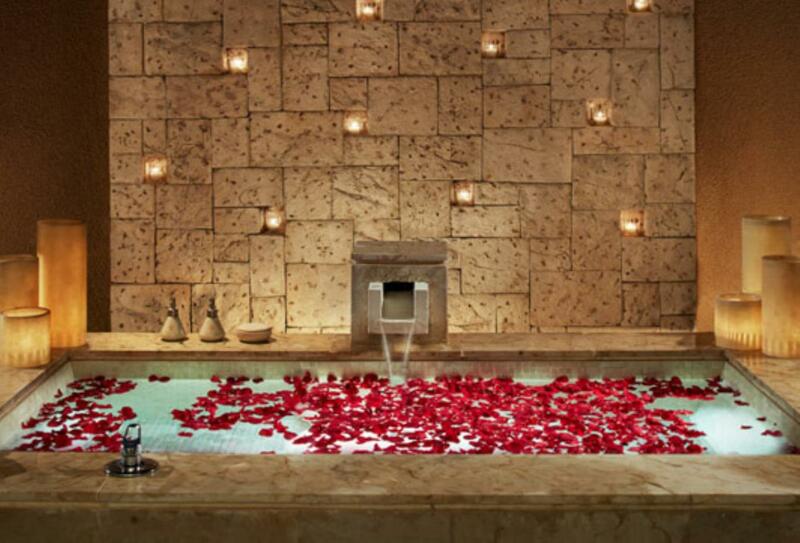 An intimate haven of winding waterways, lush jungle landscape and a multitude of romantic experiences, Banyan Tree Mayakoba makes an idyllic honeymoon destination. Valid marriage certificate required on arrival. 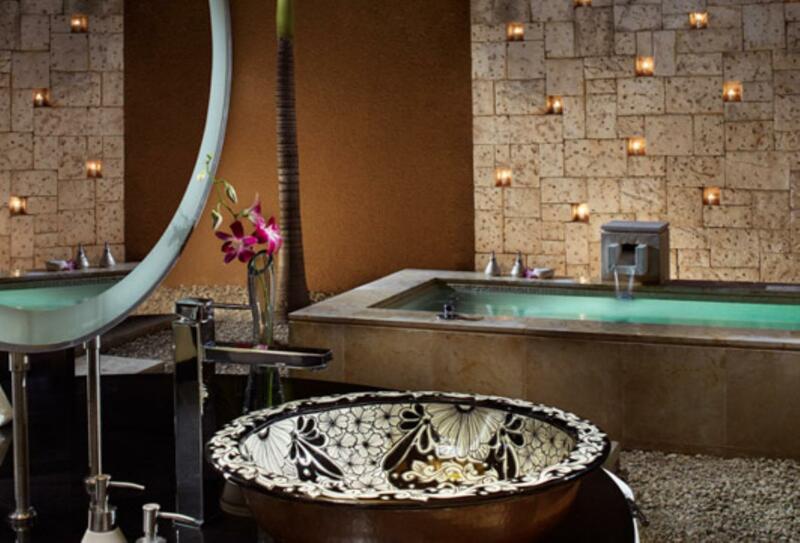 Hailed as one of the top spas in Mexico, the Banyan Tree Spa offers signature treatments inspired by Thai therapies and ancient Maya techniques. Saffron serves authentic Thai cuisine. A spacious wooden deck overlooks the tropical mangroves for an idyllic dinner setting. Open for dinner 17:30-23:00. Chef Sarahi Ponce ensures a fine dining experience with international dishes served with creative twists. Open for dinner 18:00-23:00. Oriente serves Mexican and international breakfast buffets each morning.. Open for breakfast 07:00-11:00. lunch from 11:30 - 17:00 and dinner from 17:30 - 23:00. 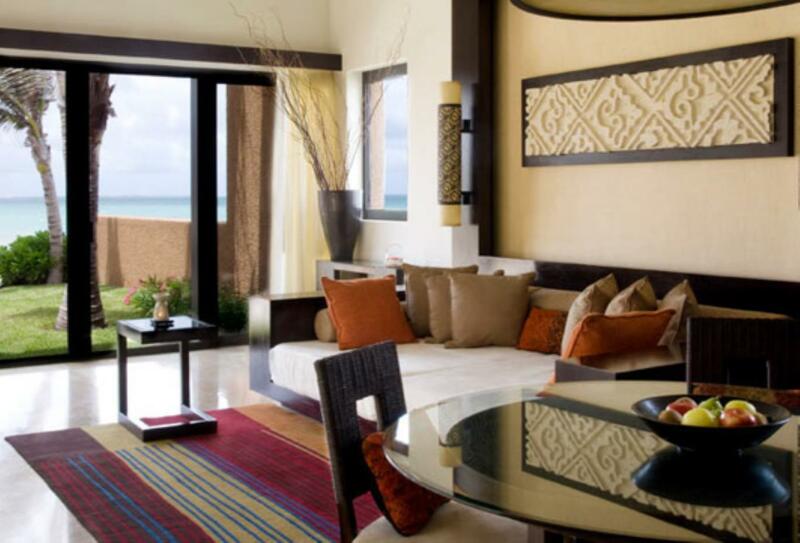 For seafood light snacks and traditional Mexican specialities, Sands is situated on the beachfront. Open 11:30-17:00. Choose from a list of creative cocktails to cool off by the lobby. Open 11:00-17:00. 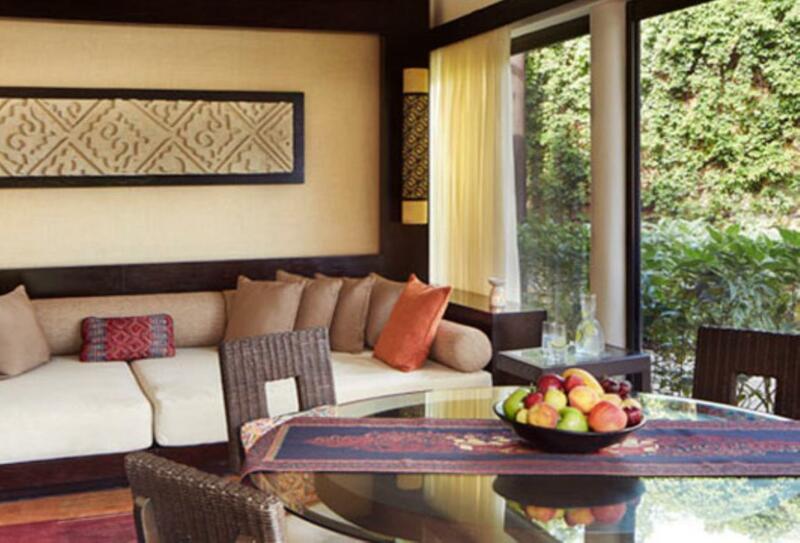 Enjoy breakfast, lunch or dinner in the privacy of your private villa. Chefs can organise breakfast on your veranda, and even set up delightful poolside BBQs by your pool for a special event. A fiery North American steakhouse served on the deck at Oriente Restaurant, with views of the winding waterways. Open three times per week, 17:30-23:00. La Copa serves Mexican cuisine along with tequilla and cocktails. Open 12:00-01:00. Sands serves snacks and authentic Mexican specialities. Open from 11:30 - 17:00. Within the deep Maya jungle, Haab’ is an authentic and magical dining experience featuring the four elements of water, earth, wind and fire. 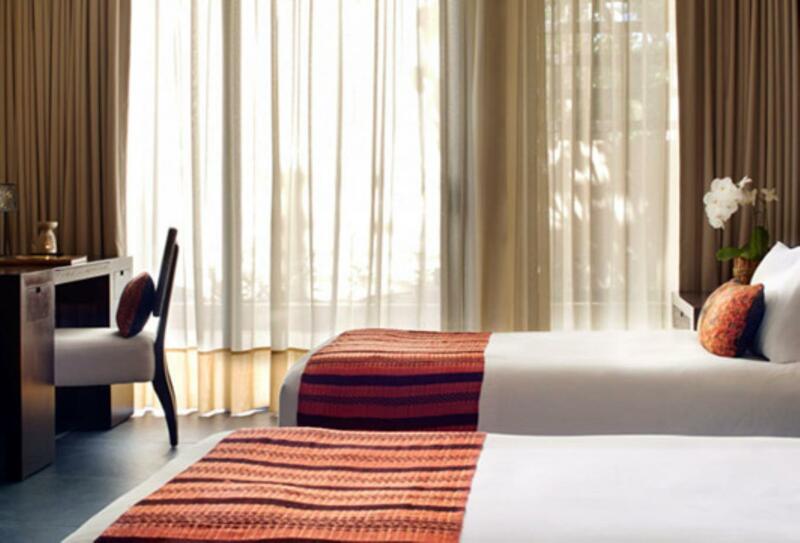 Savour tasty cuisine in an intimate and mystical setting and witness the culinary arts of ancient Maya civilisation. Set on the glistening Riviera Maya beachfront, the Beach Shack is a delicate hut serving cool daiquiris, margaritas and ice cold beers to refresh in the sun. 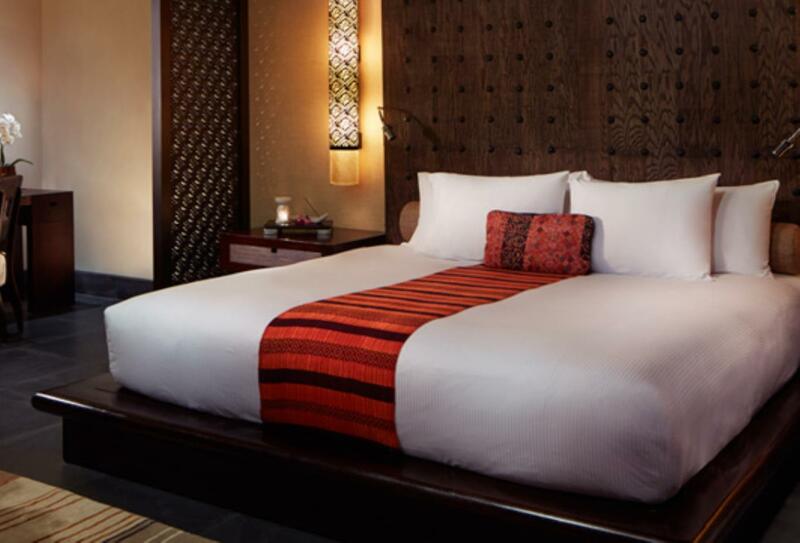 Located on the South-Eastern shore of Mexico’s Yucatan Peninsular, Quintana Roo, Banyan Tree Mayakoba offers guests the opportunity to discover sights and activities around the resort and in the local area.